Agatha Christie’s first novel, The Mysterious Affair at Styles, was the result of a dare from her sister Madge who challenged her to write a story. The story begins when Hastings is sent back to England from the First World War due to injury and is invited to spend his sick leave at the beautiful Styles Court by his old friend John Cavendish. Here, Hastings meets John’s step-mother, Mrs. Inglethorpe, and her new husband, Alfred. Despite the tranquil surroundings Hastings begins to realize that all is not right. When Mrs. Inglethorpe is found poisoned, suspicion falls on the family, and another old friend, Hercule Poirot, is invited to investigate. 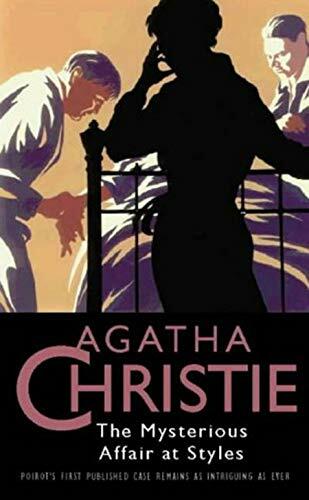 It is in this novel that we first encounter Hercule Poirot, who was inspired by the Belgian refugees from the First World War who had settled in Christie’s hometown of Torquay at the time it was written.